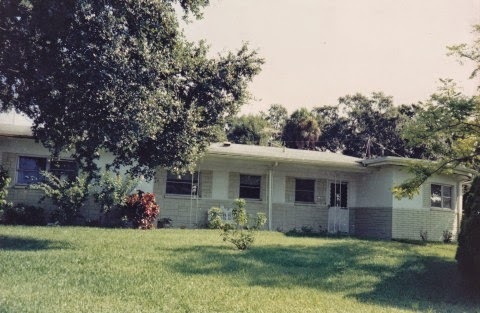 The second house that my family owned, the house that I equate with childhood and climbing trees and gaps in my gums and fishing poles was also the house that my grandparents spent their lives in before moving to a condo. The house was on a simple cul-de-sac on the edge of a busy road, but I didn't know anything other than I had a huge yard at my disposal, full of great oaks and lots of grass to play on. In the middle of the cul-de-sac there was a retention pond. It wasn't much to speak of, but to me, it was the greatest thing imaginable. There wasn't a day I didn't spend my time out by the water, fishing with stale crumbs of bread and skinning my knees under the white-hot Florida sun. My family lived around my neighborhood, too -- one aunt beside us, one across the pond. I didn't realize until recently just how blessed and special those moments were. When my grandparents moved to their condo, my grandmother started a photo wall. There was a long white entryway leading into their home, a blank canvas prime for photo-hanging. And so hang she did. 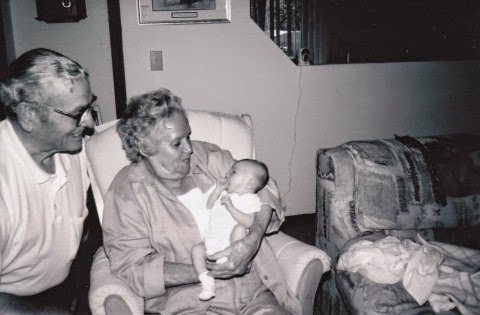 My grandmother filled that hallway with framed photographs of parents, children, grandchildren, great-grandchildren....the wall bulged and swelled with the film impressions of family until it was so full she had to tape photographs in between the spaces where faces hung. When my grandparents died, we took the wall down. But the photos still remain, memories pressed into pictures. Maybe I'll start my own photo wall one day.